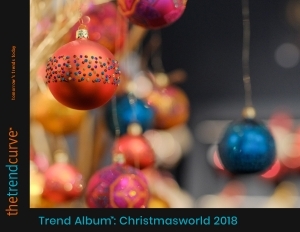 Christmasworld 2018 was packed with trend evolutions and updates that will change the character of future Holiday assortments. Color led the way, with exciting options that will differentiate trend assortments from classic red and green. Texture was another factor, as the popularity of contrasting surfaces hit its stride. Themes broadened, with unexpected characters taking their place within the Holiday realm. New shapes demonstrated a willingness to allow Christmas not only more personality, but more options for consumers to create a personalized look for their tree. That's just an overview of the changes you can expect for Christmas-future assortments. With over 150 images, our Trend Album: Christmasworld 2018 trend report will help you understand the most important details so you can develop your next assortments! Christmasworld was packed with trend evolutions and updates that will change the character of future Holiday assortments. 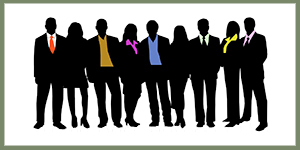 It is the leading international trade fair for the decoration and festive articles sector. The 2018 edition brought 87,000 trade visitors to this must-see fair, along with companion events Floradecora, Paperworld and Creativeworld, where 3,023 exhibitors from 69 countries made a successful start to the new business season.